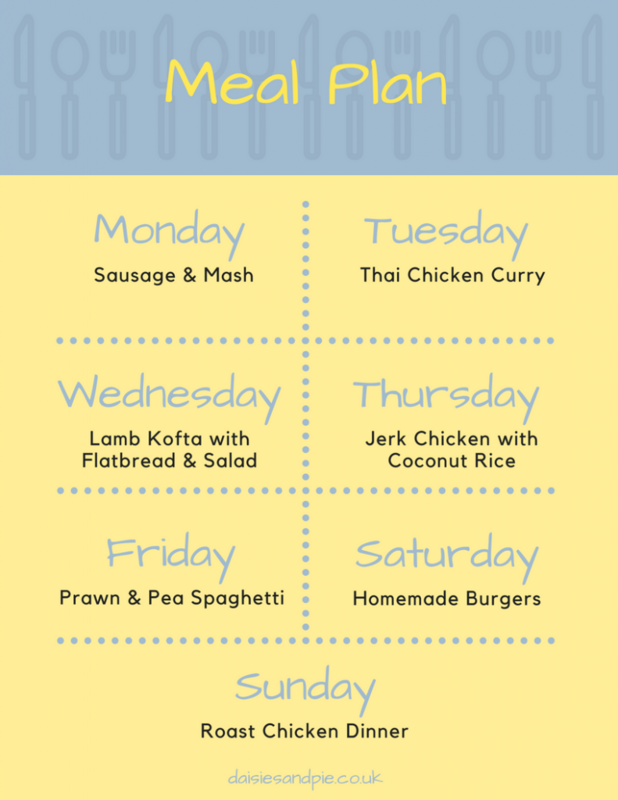 A weekly family meal plan filled with easy, delicious family dinner recipes. All our recipes are easy to make, taste amazing and are perfect for feeding a family. Oven baked sausages with creamy mustard flecked mashed potatoes, cheats onion gravy and pile of greens. Proper comfort food! 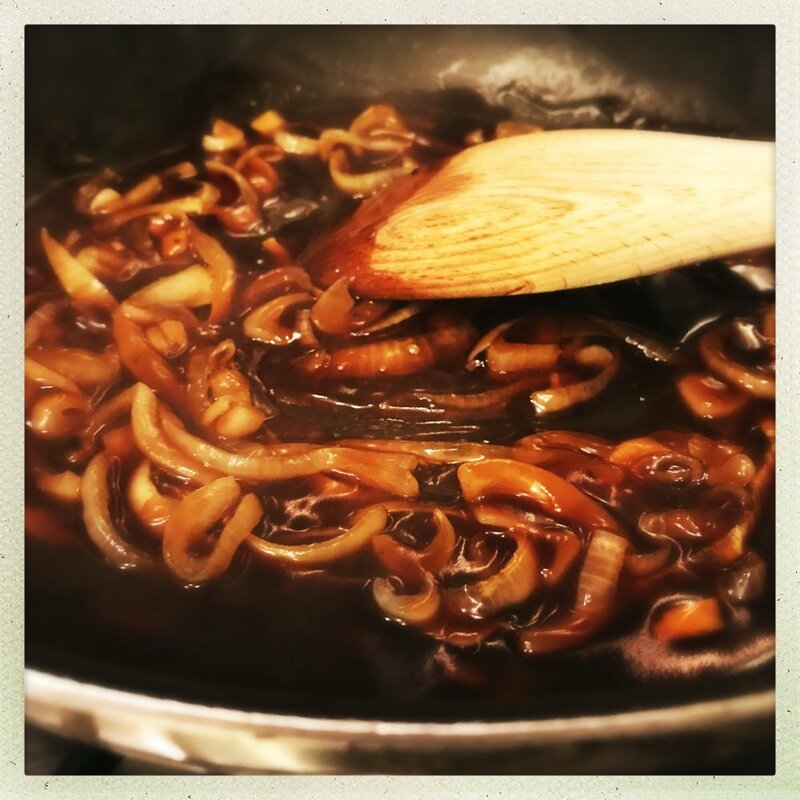 Grab the cheat’s onion gravy recipe here. I’ll be cooking up a quick and easy Thai chicken curry – loads of fresh veggies and serving with Jasmine Rice – recipe for this will be up in the week. I’ll be making little lamb kofta, cooking up some River Cottage flatbreads and serving with loads of delicious salads and dips. Recipe will be up in the week. A quick and easy cheat version of jerk chicken – packed with tasty flavours and fresh veggies. Recipe for this one will be up in the week too. 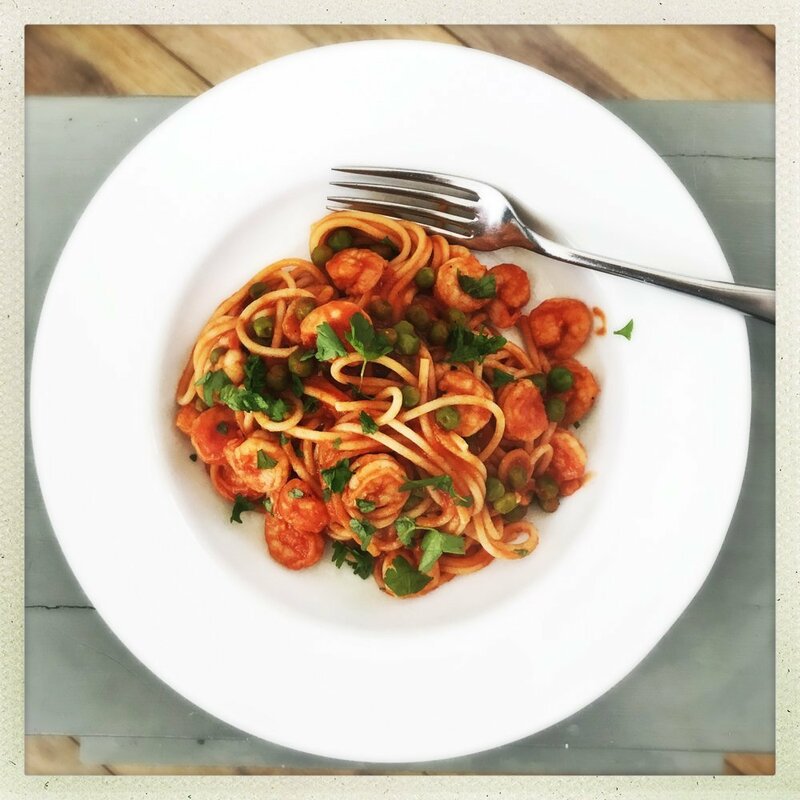 I love this prawn spaghetti recipe – so quick and easy to make and you can do it entirely with freezer/cupboard ingredients so it’s a great standby meal too. Grab the prawn and pea spaghetti recipe here. I’ll be getting the kids busy in the kitchen making homemade burgers and buns from scratch. We use the Hairy Bikers bread roll recipe and just add sesame seeds to the top before baking. I’ll keep the burgers plain and load them up with cheese, gherkins, ketchup and salad. Sunday needs a roast dinner and this week it’s chicken, chipolatas, Yorkshire puddings, roast potatoes, veggies and probably some Nigella cookie dough pots for dessert. YUM! PS…. if you’re new to meal planning then check out our Meal Planning 101 it’s packed with tips and ideas to get you started.